New shutters were constructed for this existing home using cedar plank boards. 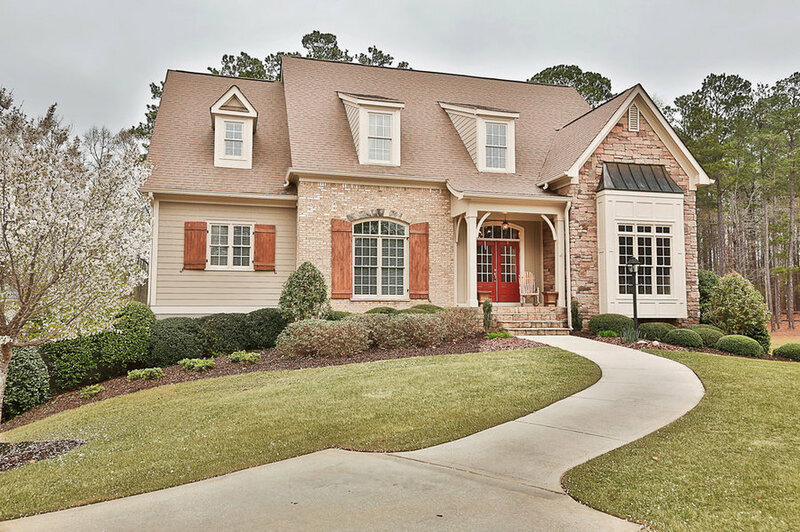 The rich color & added texture of cedar shutters give the home inviting curb appeal. 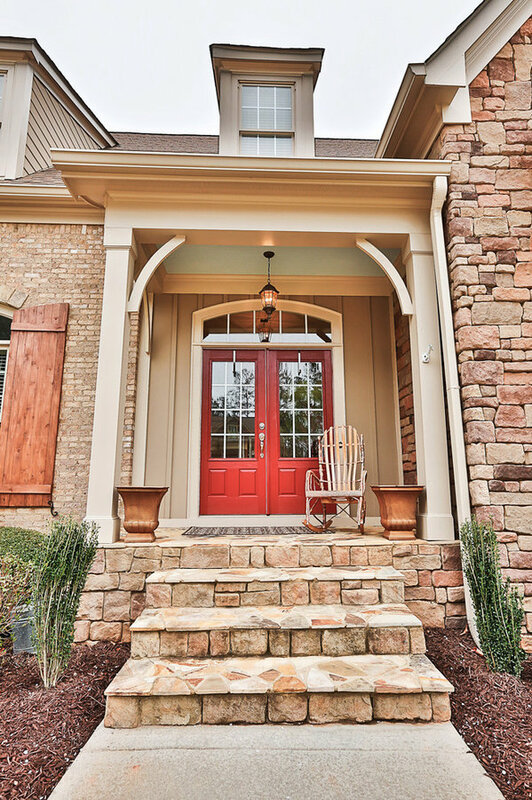 The exterior of this decade old home in Highgrove was painted a warm taupe with red doors. This Brittingham Cottage plan by Mitch Ginn was constructed in 2003. 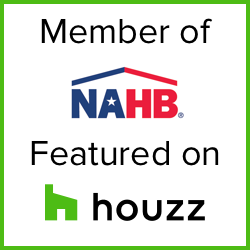 In 2014, Greg Love Homes updated the home by painting over the dated yellow exterior with a fresh taupe. 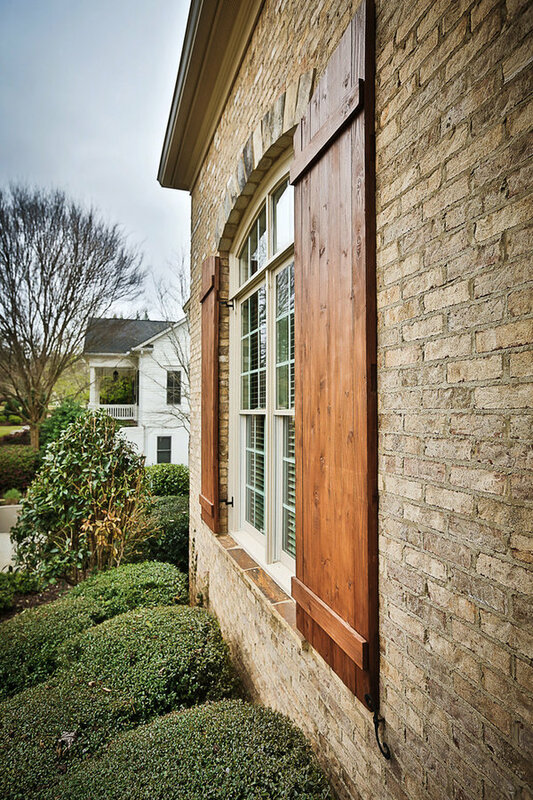 Cedar shutters were hand built for the windows to add depth and texture.